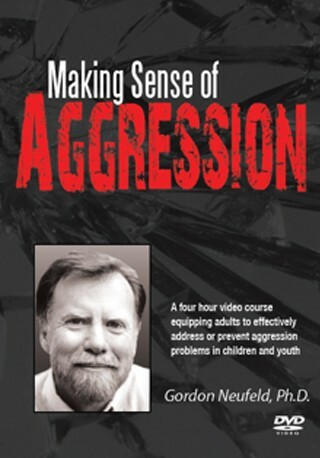 In this 4 hour videocourse, Dr. Neufeld sheds light on this dark side of human nature. 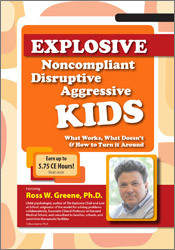 This refreshing developmental analysis of bullies reveals instinctive roots embedded in the dynamics of attachment and the flight from vulnerability. 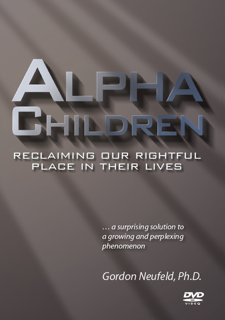 The implications for intervention and treatment are profound and largely counter to prevailing approaches. 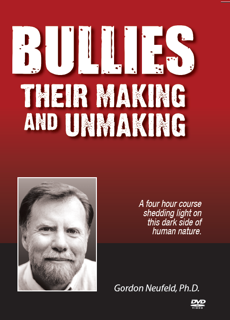 Invited to keynote on Canada’s first national conference on bullying, Dr. Neufeld shares the insights that have evolved as a result of years of experience working with bullies of all kinds, combined with his mastery of the developmental literature. The videocourse is divided into four 1-hour sessions to faciltitate study. 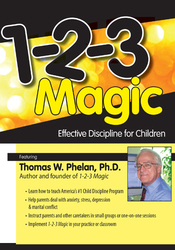 *This course is also available with French Audio and French Slides. For more information, please contact us at products@jackhirose.com. 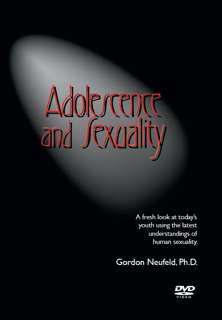 Dr. Gordon Neufeld is a Vancouver-based developmental psychologist with over 45 years of experience with children and youth and those responsible for them. 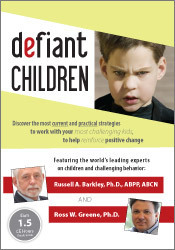 A foremost authority on child development, Dr. Neufeld is an international speaker, a bestselling author (Hold On To Your Kids) and a leading interpreter of the developmental paradigm. 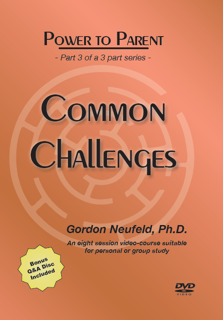 Dr. Neufeld has a widespread reputation for making sense of complex problems and for opening doors for change. While formerly involved in university teaching and private practice, he now devotes his time to teaching and training others, including educators and helping professionals. His Neufeld Institute is now a world-wide charitable organization devoted to applying developmental science to the task of raising children. Dr. Neufeld appears regularly on radio and television. He is a father of five and a grandfather to six.